Save your Eyes, Get your eyes tested, Our world is so beautiful, the mountains surrounded by greeneries, flowing river water gives a great pleasure to us. The beauty of the things around us fills the colour of joy and happiness in our life. All these beauty of life could be observed through eyes. Would you have ever thought that how the world will look without eyes. To observe this practically, just cover your eyes for two minutes, you will feel darkness throughout the world and the beauty of world will be useless for you. Do you know? In the modernised age working with machines the life of human has also become a machine. Whether its home or office or in road we are surrounded by machines. Most of us spend 12 – 14 hours either in front of computer, mobile or TV. Even on road we are intoxicated with the poisonous residue of the vehicles and at office our eyes are watching the computer screen and while at home, TV replaces computer screen. The remaining time is occupied by mobile. And these are all the reasons to harm your eyes. Whether walking on road, or riding a scooter our eyes are under some sort of force and pollution plays an important role. 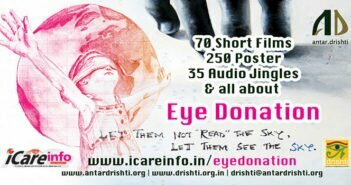 Short of time in this rapid life and due to unawareness we fell prey of getting our eyes damaged. Sometimes this ignorance becomes reason of blindness. Our eyes are very important. Try tying cloth on your eyes and do any work, you would realise how important our eyes are. But we can prevent from these evil effects by bringing changes in our routine work and take care of our eyes. Therefore it is very important to save your eyes, get your eyes tested. Take nutritious food/ balanced diet. Take fruits, sweet carrot, especially yellow colour fruits like papaya and mango, as these are best source of vitamin A. Avoid intake of spicy, stale food, nutrition less and junk food. Maintain cleanliness and clean atmosphere. If eyes are sticky, clean it properly in regular intervals. Eyes should be properly cleansed soon after getting up from bed in morning. Never use dirty cloths while cleaning eyes. Avoid use of Native / local made medicines. 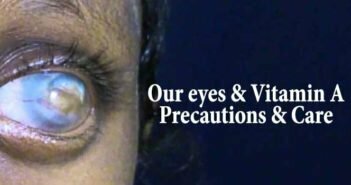 Take precautions while using kajal, surma and other herbals for eyes. Protect the eyes from bright light, smoke and chemical substances. Never try to see the solar eclipse, sun or welding light with naked eyes. Try to read in straight position instead lying down on bed or any such position which gives much strain to eyes. Consult the eye specialist on facing any type of eye problems instead of taking advice from Non-medical and lay people. 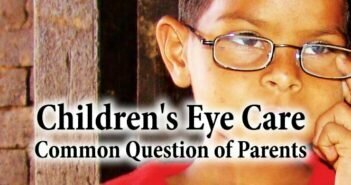 If you encounter any other medical problems which could be a cause for blindness, please consult the doctor for full and information and guidance. Save your Eyes, Get your eyes tested!! !